Sales of light trucks – a category that includes SUVs, vans and pickup trucks – continued to climb in the first five months of this year, cementing their status as the vehicles of choice for most Canadian drivers. Sales have grown nearly five per cent, allowing overall new-vehicle sales to remain on par with last year’s numbers over the same period, despite a nine per cent year-over-year drop in passenger car sales. Financing is the most popular method used for purchases, according to J.D. Power and Associates. However, more than one in four new vehicles are leased. The benefits of leasing include potentially lower monthly payments as compared to financing and the ability to return the vehicle at the end of the term without worrying about negative equity (owing more on your car loan than the depreciated value of the vehicle). We’ve featured some of our favourite offers this week on luxury SUV leases. If you don’t find an offer that suits you, be sure to check out the new Globe Drive Build and Price Tool to see the latest incentives and discounts on any new car, truck or SUV. 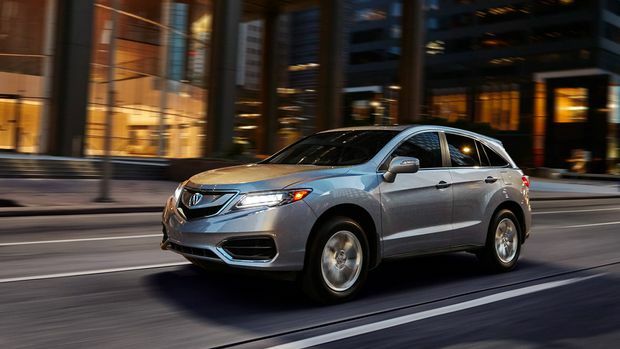 The RDX is Acura’s most popular model and has undergone a complete redesign for the 2019 model year, akin to the current MDX, TLX and RLX models, with refreshed interiors, a diamond pentagon grille and a new headlight design. Meanwhile, the 2018 Acura RDX remains one of the most popular luxury vehicles so far this year and currently has attractive incentives. The 2018 Acura RDX outputs 279 horsepower and 252 lb.-ft. of torque through a 3.5-litre, V-6 engine mated to an all-wheel drivetrain. Interior highlights on the Tech trim include an eight-inch infotainment system, a 10-speaker, 410-watt ELS Studio premium audio system, heated leather seats, a multi-angle rear-view camera with guidelines and a dual-zone automatic climate control system that senses the position of the sun via GPS and makes automatic adjustments to maintain internal cabin temperature. Its safety technology includes Acura’s distinctive Jewel Eye LED headlights, LED tail lights, forward collision warning, lane departure warning, lane-keeping assist and adaptive cruise control. The Audi Q5 is the best-selling luxury vehicle overall and, with sales of 5,315 units in the first five months of the year, has experienced a whopping 251 per cent year-over-year growth. 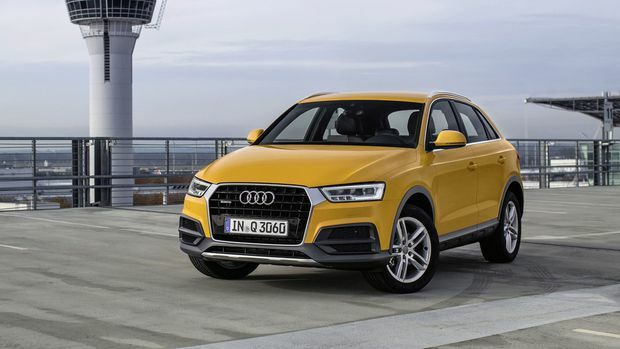 Its subcompact sibling, the 2018 Audi Q3, is powered by a 2.0-litre, four-cylinder turbocharged engine that generates 200 horsepower and 207 lb.-ft. of torque and is available with Audi’s Quattro all-wheel drivetrain. Notable features on the Progressiv trim include a seven-inch infotainment system with voice control, built-in navigation, an electro-mechanical parking brake, dual-zone climate control, a parking assist system with a backup camera, Xenon headlights with light and rain sensors and LED tail lights and daytime running lights. The QX60 is, by far, Infiniti’s most popular vehicle, selling 1,390 units in the first five months of the year. 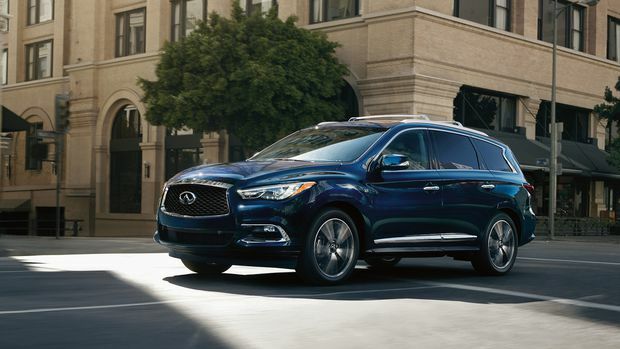 The 2018 Infiniti QX60 is equipped with a 3.5-litre V-6 engine that produces 295 horsepower and 270 lb.-ft. of torque. It features an eight-inch Infiniti InTouch infotainment system, leather-appointed seating, a heated and leather-wrapped multifunction steering wheel, an available 15-speaker Bose surround sound system, UV-reducing solar glass, automatic bi-Xenon HID headlights and LED daytime running rights and tail lights. Since its launch in 2016, the XT5 has quickly became Cadillac’s best-selling vehicle. Its sales of over 2,300 units so far this year account for nearly half of all vehicles sold by the automaker. 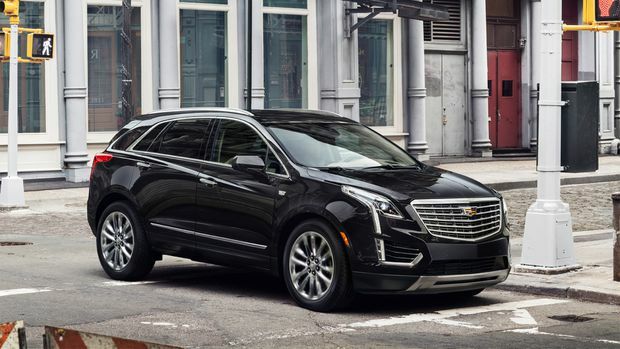 The 2018 Cadillac XT5 comes standard with a 3.6-litre V-6 engine that produces 310 horsepower and 271 lb.-ft. of torque. It features an eight-inch infotainment system with voice recognition, Apple CarPlay and Android Auto compatibility, an eight-speaker Bose premium surround sound system, remote engine ignition, an electro-mechanical parking brake, rear park assist and automatic headlights.